When John Bailon first heard about Bitcoin, he thought it was a scam. It was only in 2013 when he heard about Bitcoin again and looked into it more closely. He read the original 2008 whitepaper that provided a technical overview of what Bitcoin is and what it aims to accomplish. The paper described it as a “peer-to-peer version of electronic cash” that would be transacted on a network not reliant on financial institutions or other central authorities. Unsurprising, as Bailon grew up in an entrepreneurial family and graduated from the De La Salle—College of Saint Benilde with a degree in business management. In fact, he was already running a photo booth business called Baicapture at the time, which he revealed was making “around Php1.5 to Php2 million a month in revenues” at its peak. 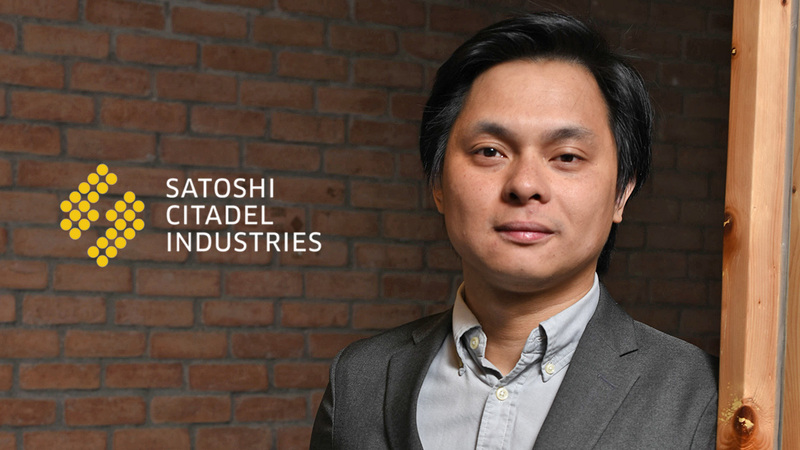 But with his increasing obsession with Bitcoin and its underlying blockchain technology, Bailon’s wife took over the operations of Baicapture so that he could focus on creating a new Bitcoin-centric business in the Philippines. 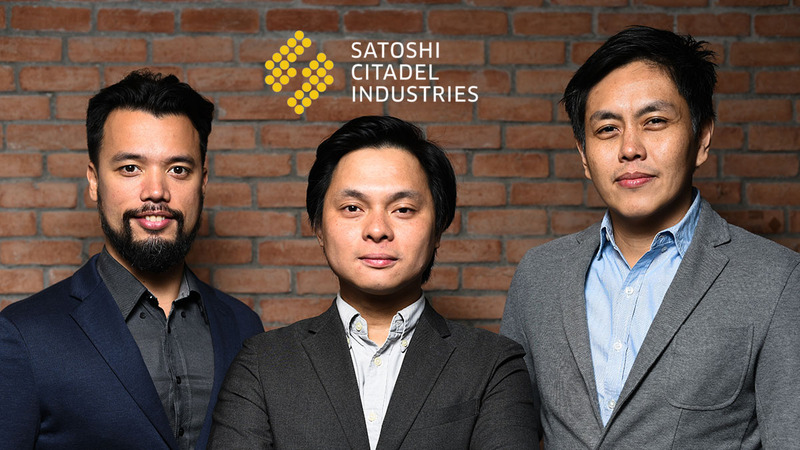 Together with friends Miguel Cuneta and Jardine Gerodias, Bailon formally established Satoshi Citadel Industries (SCI) in 2014. 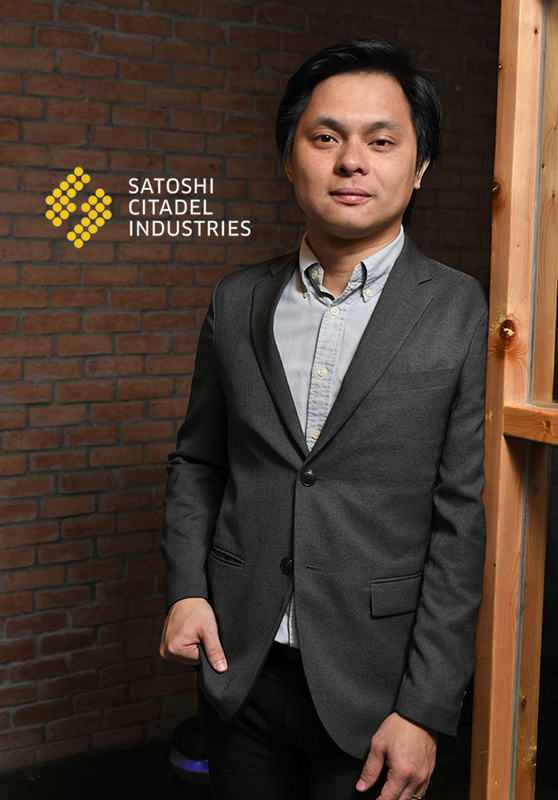 Named after the acknowledged creator of Bitcoin, an unknown developer who only goes by the alias Satoshi Nakamoto, SCI offers a suite of financial services utilizing Bitcoin. Its digital, decentralized and immutable nature makes it a more secure and less expensive alternative to physical cash in various use cases. This started with a payment processor called Bitmarket.ph. After partnering with a coffee shop in Makati, it allowed the merchant to accept Bitcoin as payment for its products. After a few months with the payments business, SCI worked quickly to pivot the business model to a better use case. It didn’t take long for the team to arrive at a similar but ultimately more promising service in international remittance through the Rebit product. As blockchain allows for the almost instant transfer of cryptocurrency from one wallet to another, SCI saw the opportunity in offering services much quicker than traditional remittance centers. And with the transfer of funds happening digitally instead of physically, Rebit is able to offer services at much lower costs. It’s a service that’s proven successful for SCI, as Bailon credits Rebit as “where [the business] really picked up.” Bailon claims for the first two years, SCI averaged an 18 to 20 percent month-on-month growth as a result of Rebit’s operations. It helped that the startup was able to secure a local partner in Cebuana Lhuillier, with its pawnshop branches serving as the last-mile for recipients of international remittances. By 2016, it was also able to partner up with 500 companies in over 10 countries to create an ecosystem of Bitcoin-powered remittance. That attracted a key investor, K Venture Group, the investment arm of listed South Korean firm Kakao Corp., to put in money in the venture. SCI raised an undisclosed amount of funding from the group in 2016, and the team was able to secure the support due mainly to SCI’s large remittance business in South Korea at the time. While Rebit remained the company’s dominant revenue stream in its first few years, it shifted to contributing around half of SCI’s revenues by 2017. The remaining half came from BuyBitcoin, an over-the-counter Bitcoin exchange service that the company acquired in 2015. Through the platform, users can buy and sell Bitcoins with Philippine pesos, and customers are able to pay for these transactions through partner banks, via Cebuana Lhuillier or in 7-Eleven branches. A big factor contributing to the growth of BuyBitcoin was the huge price appreciation Bitcoin experienced in the last few years. When SCI was formally established in May 2014, one Bitcoin was priced at $447.63. By December 2017, it reached a high of over $20,000, an over 4,300-percent surge in price. That didn’t go unnoticed by investment-savvy Filipinos, and it led to Bailon calling 2017 “the best year of the company’s life” due to the increased demand for BuyBitcoin’s services. 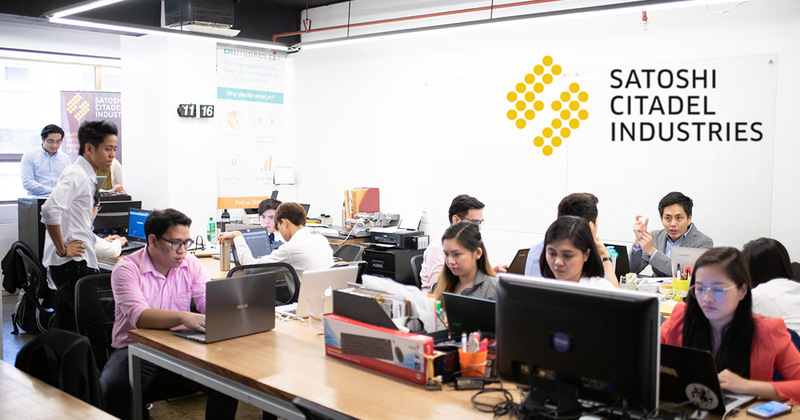 In an earlier email interview, Cuneta, who heads SCI as chief community officer, told Entrepreneur Philippines that the company saw “an explosion of activity” in the latter months of 2017. Bitcoin's price has since slumped to a low of $5,848 last June, having only slightly recovered to $6,606 as of end-September. But that hasn't stopped the company from pushing through with cryptocurrency projects. It will soon launch Citadax, an order book exchange where users can trade Bitcoin and other cryptocurrencies with each other. While there is no set date as to when it will launch, SCI has already secured important partnerships for the platform’s operations. Many experts dub Bitcoin’s creation as a reaction to the inefficiencies of the formal American financial system, a criticism that was magnified after the financial crisis in 2007—a year before Bitcoin was created. Since then, Bitcoin has received a spectrum of reactions from central banks and monetary regulators around the world, ranging from a total ban of cryptocurrencies to some creating their own version of it. Despite Bitcoin’s origins as a rebellion of sorts against governmental authority, SCI takes pride in working with the Bangko Sentral ng Pilipinas (BSP) and the Securities and Exchange Commission (SEC) to create a safe and regulated cryptocurrency environment in the country. And the BSP obliged, as SCI was one of the first companies to receive a virtual currency exchange (VCE) license, which allows SCI to operate as a remittance and transfer company powered by cryptocurrency. The startup is also applying for an electronic money issuer (EMI) license for Bitbit, its mobile wallet product. While the BSP had the same wary stance about Bitcoin like Bailon did in the past—it released a warning advisory against its use back in 2014—it has since taken a more open-minded and regulatory approach with the release of Circular 944, which contains the rules and regulations for VCEs. In the same vein, while most of the SEC’s announcements on Bitcoin and other cryptocurrencies were warnings, it recently published a draft regulation on initial coin offerings, a process where companies create their own virtual tokens for their blockchain-powered projects. All this is good news for Bailon and his team. With more Filipinos being exposed to the use cases of Bitcoin and blockchain technology, and with the government recognizing cryptocurrency’s place in the financial ecosystem, the Philippines is slowly becoming one of the most attractive markets for cryptocurrency. And for SCI, that’s a big reason why they want to stick to the Philippines and help the ecosystem grow.